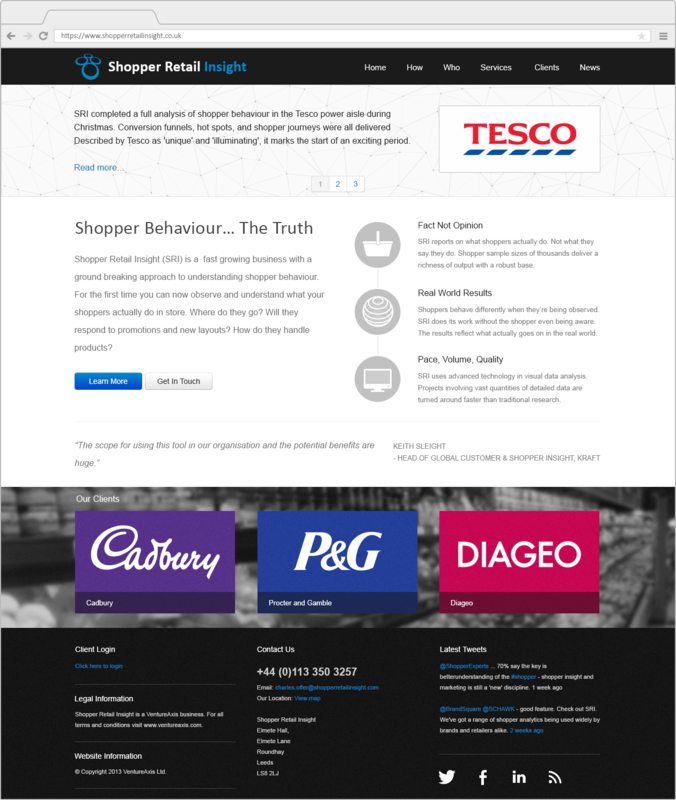 I designed and built a responsive website for retail analysts Shopper Retail Insight. I kept things as clean and simple as possible with fluid layouts for desktop, tablet and phone and maintained consistancy with a style guide. You can take a look at the site here. Keep things simple, clean and clear was the brief. Shopper Retail Insight work behind the scenes saving money for large retail customers by tracking shoppers. They’re proud of their client base and wanted them prominently displayed. 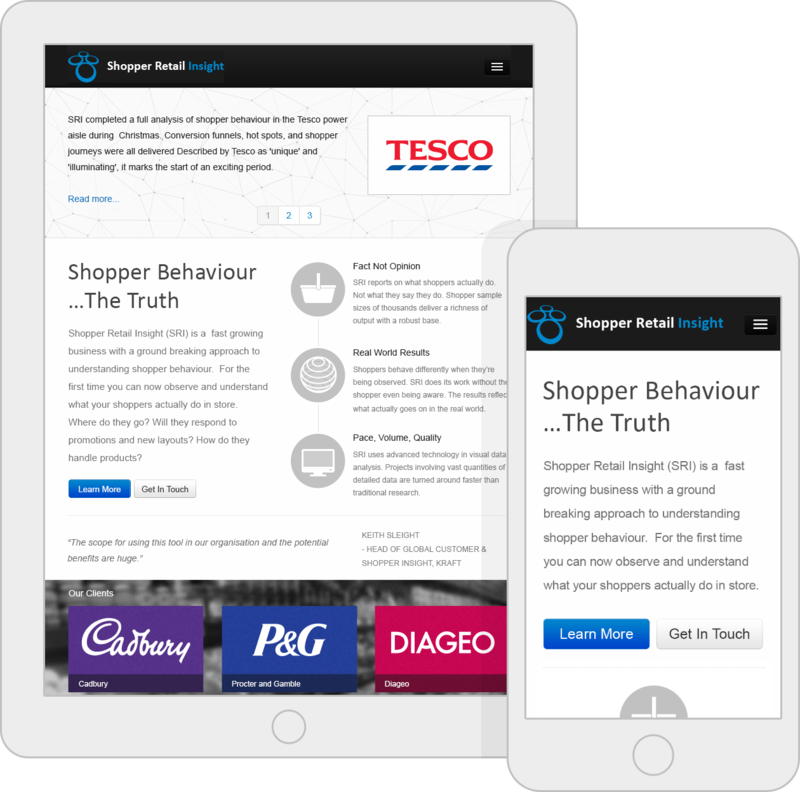 The Shopper Retail Insight site is designed and built to retain it's clarity whatever screen size it is viewed on. It works responsively on any device whether it's desktop, tablet or phone. I created a large set of bespoke icons, both for use within their website and also within Shopper Retail Insight’s output for their clients. Shopper Retail Insight produce broad range of material for their clients, such as presentations, reports and dashboards. 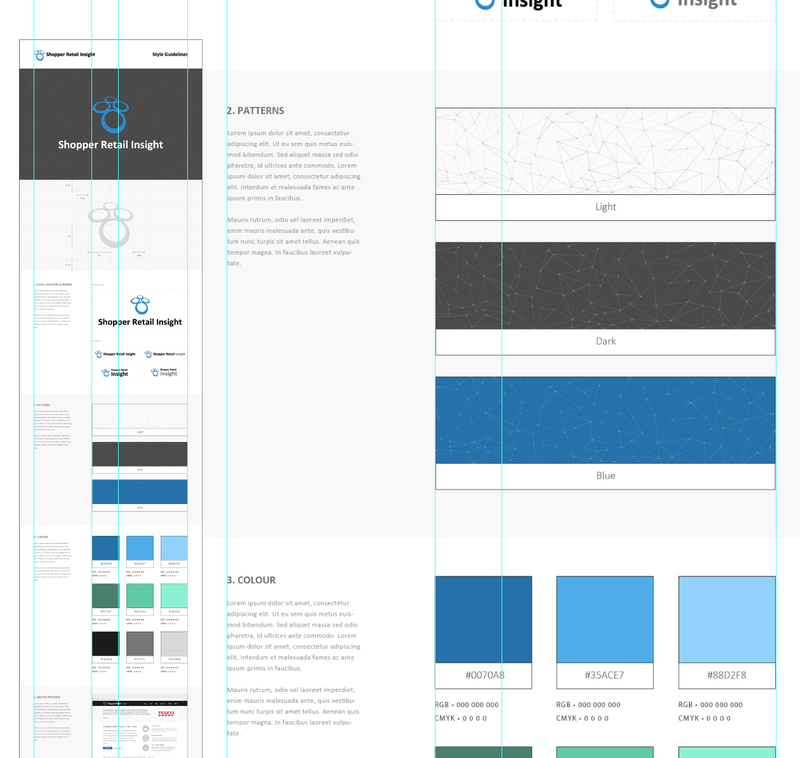 I created a set of style guidelines to help maintain the brand’s consistancy across the company’s output.